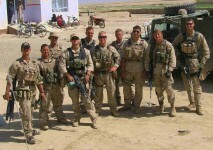 Squad Leader, Kilo Company 2004-2007. Heroic achievement in the superior performance of his duties while serving as Squad Leader, 1st Squad, 2d Platoon, Company K, 3d Battalion, 3d Marines, Regimental Combat Team-7, I Marine Expeditionary Force Forward, from March to September 2006, in support of Operation IRAQI FREEDOM. Corporal Reynolds effectively led his Marines during 200 dismounted and mounted security patrols, four company operations, and four detention operations. On 28 July 2006, his squad was subjected to a coordinated anti-Iraqi force ambush. During this intense enemy contact, Corporal Reynolds reacted immediately, and with little regard for his own safety, he exposed himself to enemy fire in order to position himself to orient his squad, better direct their fires, and to maneuver on the enemy forces. Corporal Reynolds consistently demonstrated his tactical decision-making ability, and he effectively employed his squad during numerous combat patrols. 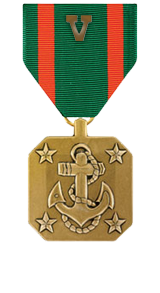 Corporal Reynolds’ initiative, perseverance, and total dedication to duty reflected credit upon him and were in keeping with the highest traditions of the Marine Corps and the United States Naval Service.